$15.99 for the tin and the corked bottle. 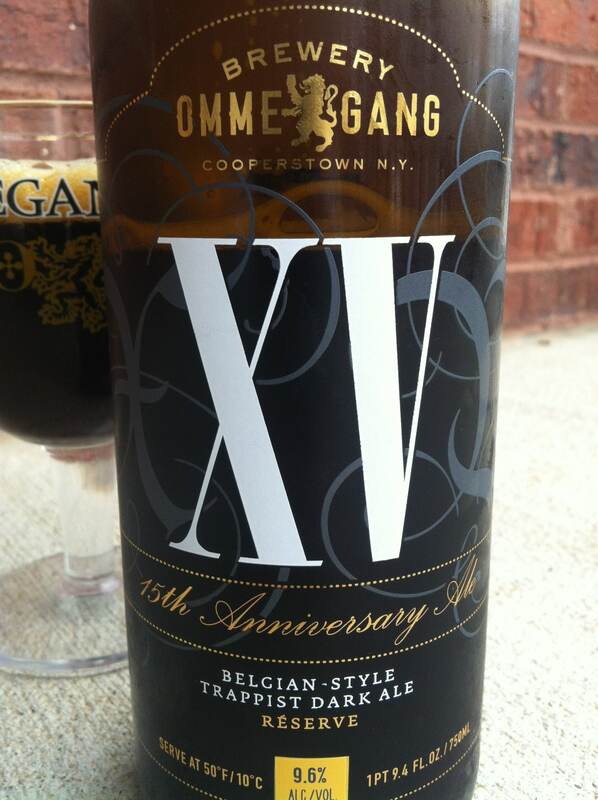 Love me some Ommegang, but even before I open the tin or the bottle I feel that the price here is unlikely to be kind in terms of value. We’ll see. The corked and caged bottle opens with a modest pop and only a touch of gun-smoke. Pour is a dark chestnut brown that borders on black. There is a lovely mocha head that is deep and pitted, but it doesn’t last long at all. A shame, since this was set up to be a real treat on the eye. The nose offers plenty of liquor notes, but only after warming. There’s a lot of alcohol upfront, but it does smooth out quite well. Is it noticeable? Sure. Does it overwhelm the beer? Not really, but the usually (and hopefully) obvious Belgian yeast notes are quite repressed, but at least the dark fruit combos dominate (as they should). Replacing the yeast element is a typical alcohol soaked element to the dried fruit, but the beer also delivers a certain liquor element as well. 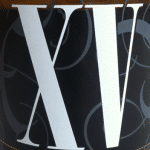 It really pushes the envelope in terms of the style, and it brings a lot of whiskey and brandy notes to the party. That is not really a combo that is out of place in this style, but it’s a combo that I just don’t care for. I’m looking for slightly more classic elements in the style. As it warms of course, things even out a bit, but it still seems a little too raw for me. 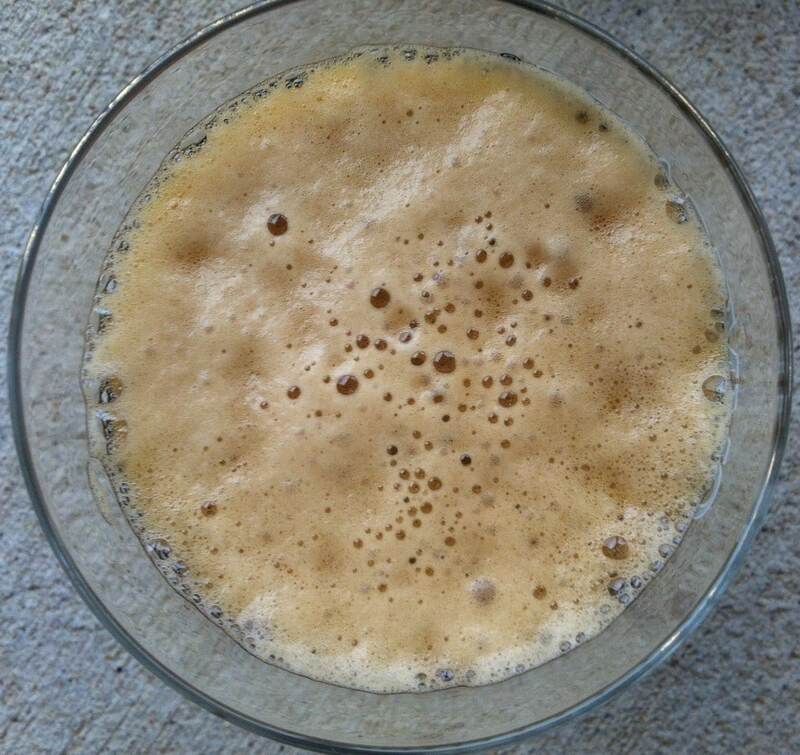 Obviously age will help this somewhat and I hope that the yeast comes more to the fore. I have no problem with large alcohol elements at all, after all it’s entirely appropriate for a BSDA, but it seems like there is a liquor element that spoils the Belgian experience a bit. The finish warms. A light chest burn and a slightly drying feel to the alcohol evaporation. Look, this is a favorite style of mine but XV doesn’t really deliver for me. There is a persistent and somewhat unnecessary liquor element, almost as if the beer is barrel aged, and at the best of times this is not my thing. In a beer that is not bourbon based, and when it detracts somewhat from the Belgian elements, it turns me off a bit. At $15.99, the problem is compounded and the beer is strictly a one-off for me. A bit of a missed opportunity to make a really memorable anniversary beer, I feel. 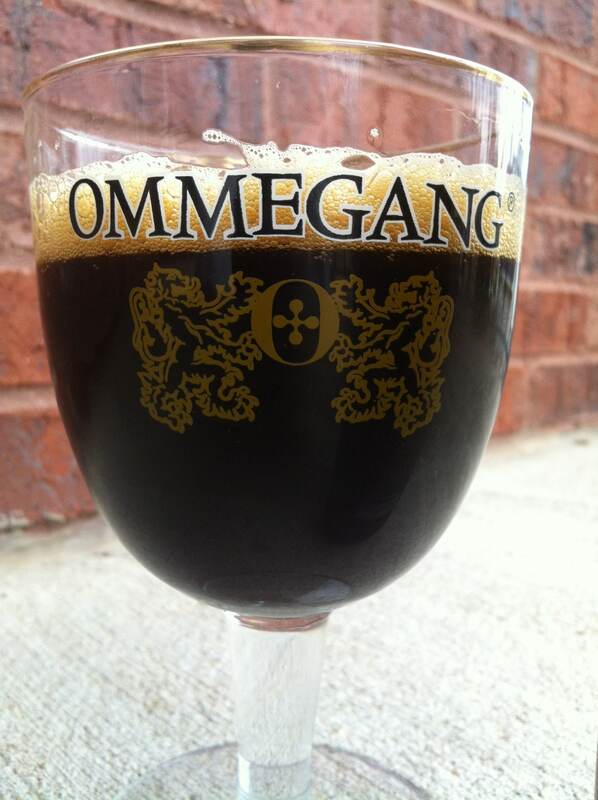 Other: Belgian Strong Dark Ale, 9.6% ABV. Do you factor price into your scoring at all? Do you track price with your reviews? I.e., could you run some sort of analysis of price vs. score to give a value index to beers? You’ve got a large wealth of reviews, and would be interesting to see how your scoring correlates with price. Hi Pete – sorry, ‘no’ is the short answer. The problem as I see it is that even within the same city/region, prices can vary a huge amount and in any case, ‘value’ is perhaps even more subjective than taste.